The biggest Motability event in the South is back for 2018! On Thursday 3rd May, Snows are heading to the Ageas Bowl, Southampton with an extensive range of latest models available exclusively to our Motability customers. Back for the third year, The Hampshire Motability Motor Show is heading to the Ageas Bowl on Thursday 3rd May. This unique event will be showcasing over 90 vehicles across 19 different brands from three of the South's leading motor groups, all in just one stunning venue. 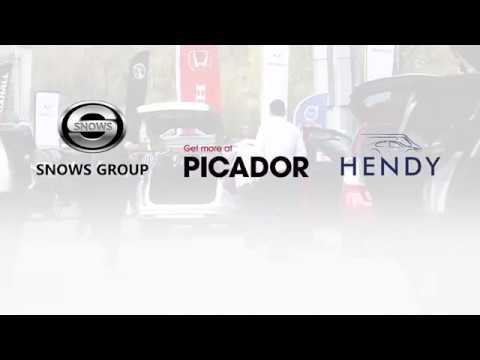 Snows are thrilled to be a part of this one day, which has proudly become Hampshire's single largest display of vehicles available on the Motability Scheme, as a result of the collaboration between Snows, Hendy Group, and Picador Plc. The event is supported by Motability UK, who will be on hand to give advice and assistance to all visitors that wish to find out more information about the benefits of the Motability Scheme and how your vehicle can be suited to your personal requirements. The day will also feature local Special Adaption companies along with some activities for children and complimentary hospitality, so there is fun for all the family. The day will run from 9am until 4pm at the prestigious cricket ground, where all latest vehicles will be showcased for Motability customers to explore. This free event allows attendees to view a huge spectrum of models in one convenient location, including Wheelchair Accessible Vehicles (WAVs). Even for those new to the Motability Scheme, this is a fantastic opportunity to see how you could benefit from a brand new vehicle every three years (five years for WAVs). The Motability Scheme provides a long list of benefits, including full breakdown assistance, insurance, servicing, tyre replacement, two named drivers for your vehicle, and more. If you'd like to discuss whether you're eligible, representatives will be on hand to assist throughout the day. There's no need to book an appointment; simply turn up on the day to view a selection of Abarth, Alfa Romeo, BMW, Citroen, Dacia, Fiat, Ford, Honda, Jeep, Kia, Mazda, MINI, Peugeot, Renault, SEAT, Suzuki, Toyota, Vauxhall, and Volvo vehicles. With such a large choice, you're sure to find a car that suits you. It will also be possible for interested parties to book test drives for the days and weeks following the Motor Show, to give peace of mind that your new vehicle will fit your exact requirements. What's more, free parking and free drinks will be available on site, and our helpful team of experts will be there to give you a warm welcome and ready to talk you through everything you need to know. ​All are welcome, and our specialist Snows Motability staff will be on hand to discuss any of your motoring requirements or concerns.